Doctors, Translators Working Together to Bridge Wikipedia’s Medical Language GapInternet users from around the world often turn to Wikipedia to answer questions of all kinds. The information offered there includes medical subjects, especially important in parts of the world where access to medical professionals may be limited. However, much of this information can be unreliable and is available only in the most oft-spoken languages. A group of experienced Wikipedia editors and medical professionals is trying to change that with the Medicine Translation Project, an effort to improve health care-related topics in English Wikipedia and translate them into other languages, including Hindi, Chinese and Macedonian. Recently, the Wikimedia Foundation’s Individual Engagement Grant (IEG), a microgrant supporting work on Wikipedia-related activities, granted 10,000 US dollars to the Medicine Translation Project Community Organizing project, which aims to enhance communication and coordination among the team. The project itself started off in 2011 when Dr. James Heilman and a number of translators from Translators Without Borders, such as Enrique Cavalitto and Ildiko Santana teamed up in an effort to translate medical articles. Since then, the project has exploded into a larger translation forum with hundreds of translators translating articles into almost a hundred different languages. For Wikimedia projects with a large pool of editors, there has been help from editors to assess what is needed, and what should be translated. On smaller projects the goal is set to get anything on World Health Organization (WHO)’s list of essential medicines, as well as anything about neglected tropical diseases, also from a list by the WHO. The problem is that there are so many layers of complications in the translation process. After an article has been written and been subject to review to ensure its quality, the article needs to be prepared and proofed for translation, after which translators need to be found. 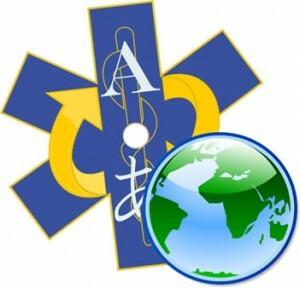 Many of our translators are medical professionals and have in-depth knowledge in their native languages. On the top of it, they dedicate plenty of time on the content creation and translation. This helps to get good quality translations. What this also means is that they seldom have any knowledge of Wiki markup or Wikipedia. Someone else who knows the language in question has to go through links, templates etc. and fix them, proofread the translated content so it is up to scratch and readable. To fix all this, it is best to have a local Wikipedian who can integrate the text. Most of the work has already been done. But, getting these things right is very crucial, especially on Wikipedias with vast content, where there already is a lot of content to link in. As for the local language integrators, the idea is to have editors who are willing help out and be an intermediary between that community and our translator community. There is a page where all our finished translations are added. An integrator would patrol that page on a regular basis and inform the respective language Wikipedia that the new translation is ready. The language Wikipedia’s reader community share feedback on the translation quality and suggest for improvement. For us, it is really easy to just add articles without going through them thoroughly. But, that would not work at all. For things to work, the individual must both know Wiki markup and the target language so that the integration can go smoothly.